If you are a fan of drifting, then you know all about Forrest Wang, who is renowned for his spectacular high angle and smoky driving style. His car builds have a lot of style as well and we have been trying to catch up with him for a year to be able to capture one of his masterpieces in a story. 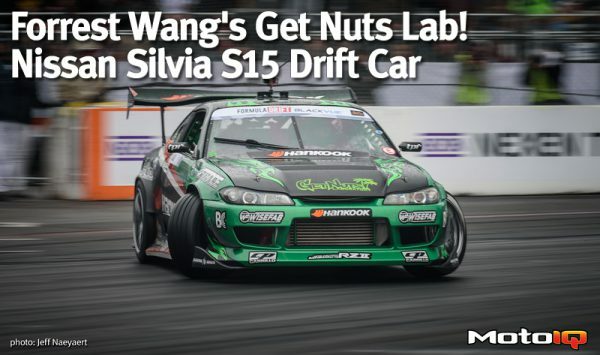 The basis of Forrest’s competition is a Japanese Model Nissan Silvia S15. The S15 was never imported into the USA due to some boneheads in Nissan USA’s product planning department not thinking that it was a viable car for our Market. If you have ever driven an S15 you would know what a great car it was. In fact all S chassis cars had great potential that was neutered out of them when they were imported into the USA by questionable choices like the installation of truck engines and such, but that’s a different rant for a different day. The S15 is a great looking and handling car but it’s 2 liter SR20DET engine has no where near enough power for todays world of pro drifting even when modified to the limit. This was all resolved when Forrest’s Get Nuts Lab got there hands on the car to transform it into the potent machine shown here. CLICK HERE for more images and the full story. 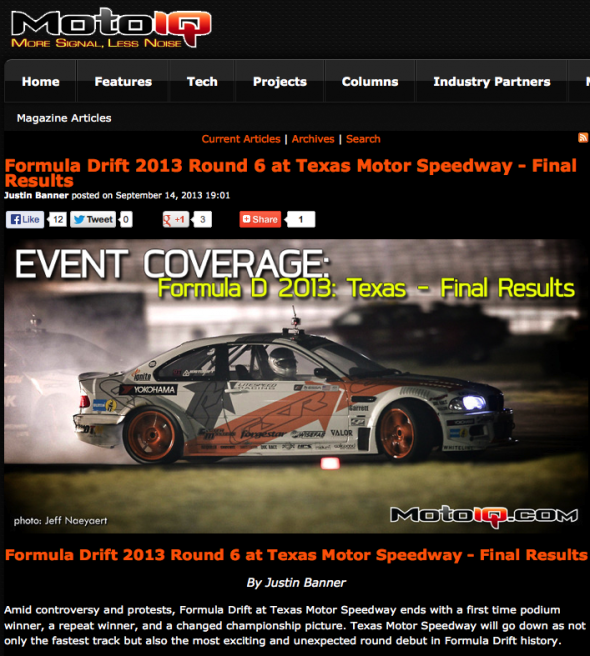 MotoIQ Radio: Ryan Sage To Discuss The Super Drift Challenge! During tonight’s MotoIQ Radio Show, Vice President, Co-Founder Ryan Sage will discuss details of the Motegi Racing Super Drift Challenge. 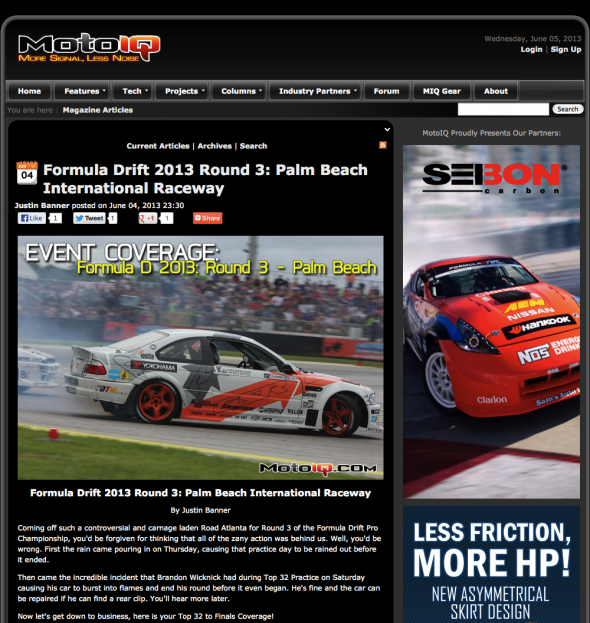 The event is set to take place during the weekend of the Long Beach Grand Prix on April 19-20. CLICK HERE for more information about tonight’s show that will air on 3/14 at 8pm PST/11pm EST.